Our jazz nights at the Guildford Rugby Club Pavilion are held on the second Wednesday of each month. The seating is cabaret style and there’s a great atmosphere, a nice view, a large car park, disabled access, and of course a licensed bar with guest real ales! A very reasonably priced supper is also available before the gig – just reserve your table when you book your tickets. You can find the address and directions here, or please contact us if you need help. 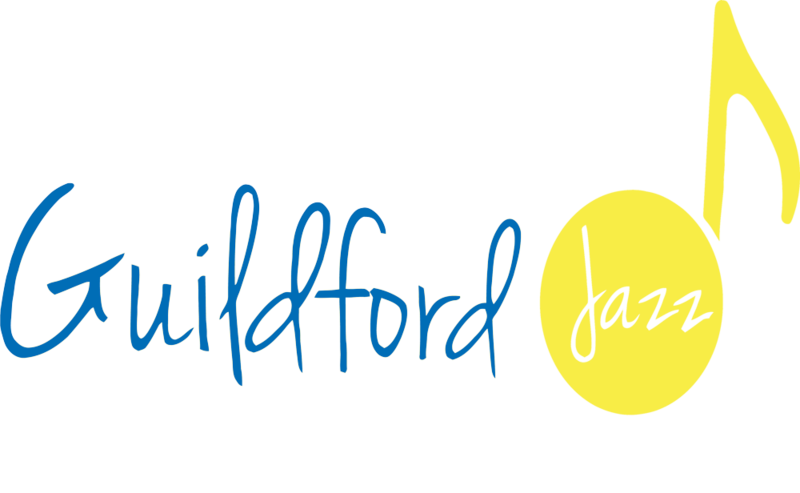 If you haven’t been before, please email us at info@guildfordjazz.org.uk if you’d like any more information. The gigs start at 8pm, and the doors open at 7.30pm. To book for payment by credit card, BACS or to reserve tickets for cash payment on the night, please click the links below each concert to add the ticket type to your shopping basket, then click on “View Basket” (or “Cart” on the top menu). From your basket, select the number of tickets you want and click through to checkout where you’ll be given the payment options. Please note there’s no booking fee for any of the payment options. We’ll send you a confirmation email of your booking when you’ve completed the order. If you have any problems with the online booking just contact us here. Described by Allmusic as “one of Horace Silver’s all-time Blue Note classics… one of Silver’s finest albums, and it’s virtually impossible to dislike”, this classic LP includes the well-known tracks ‘Peace’ and ‘Sister Sadie’ and featured performances by Silver with Blue Mitchell, Junior Cook, Gene Taylor, and Louis Hayes. A graduate of the Royal Academy of Music and the National Youth Jazz Orchestra, Freddie Gavita rose to prominence through the John Dankworth Orchestra, and has been a member of the Ronnie Scott’s Jazz Orchestra for ten years. He has performed as a guest soloist with the BBC Big Band and featured twice on the BBC Proms at the Royal Albert Hall. A fearless improviser, “he solos with fluent authority, his tone ranging from the warmly conversational to the eloquently strident.” He won the British Jazz Awards 2017 in the Best Trumpet category and his recently released CD, Transient, garnered a 4 star review in the Observer. A versatile musician and first call sideman, Alex is instantly recognized by his dark, husky sound. He has enjoyed success as both a jazz artist, composer and arranger, and an in-demand session, studio and commercial saxophonist and has performed in over 30 countries worldwide appearing at such venues as the Blue Note, Birdland, as well as the Perugia, North Sea, Vittoria, Montreax, and Oslo Jazz Festivals. Although Alex has accumulated one of the most impressive biographies of any saxophonist in Europe of his generation, he did not release his own solo album until the age of 40 in September of 2011, and his second album, Andromeda, with his new band ‘Bunch of Five’ in January of 2015. Alex also runs a weekly late-night residency at Ronnie Scott’s Jazz Club in Soho. Tickets £15 (students £7). Advance booking recommended! To book for payment by credit card, BACS or to reserve tickets for cash payment on the night, please click the links below to add the ticket type to your shopping basket, then click on “View Basket” (or “Cart” on the top menu). From your basket, select the number of tickets you want and click through to checkout where you’ll be given the payment options. We’ll send you a confirmation email of your booking when you’ve completed the order. If you have any problems with the online booking just contact us here. “A seriously good band containing six of Britain’s finest jazz musicians, regardless of age or style” (Dave Gelly, The Observer). A firm believer that music should regain the swingy melody it once held, Matt leads his sextet with seamless harmony, delivering perfect jazz notes with humour and evident pleasure. As he says: “In style, the sextet certainly resembles many of the great small bands of the 50s and 60s, such as those of Horace Silver and Art Blakey. We take inspiration from the past, but we are not trying to replicate it, merely to add in a small way to the music for which we have the deepest respect and love. “I strongly believe that jazz has to swing. To me, this is what gives the music that beautiful human quality which attracted most of us to jazz in the first place. We play some Latin American style pieces and some funky things too, but the heart and soul of the band will always be straight-ahead swing. If it isn’t swinging at least some of the time, I really don’t feel it’s jazz. And with this band it certainly is! An evening of jazz to make you smile, Honk! plays jazz versions of catchy, groove driven world music tunes, embracing Latin, South African Township jive, New Orleans Second Line, Funk, a touch of Ska, and even a hint of Afro Beat, with some brilliant originals from the band members. Much-loved alto sax player Derek Nash is a featured soloist with the Jools Holland Rhythm and Blues Orchestra, and a vibrant and charismatic performer. Expect an evening of the best of swinging modern mainstream jazz, infused with catchy melodies and infectious rhythms, fronted by one of the most popular and versatile saxophonists in the UK. Derek is renowned for his energetic, vibrant, passionate and charismatic performances on all four saxophones – from sonorous baritone to soaring soprano – and is an award-winning performer having received the John Dankworth Award and the British Jazz Award (Small Group) for Sax Appeal. He received Best Jazz CD of the Year for Young Lions, Old Tigers with the late Spike Robinson, receiving the same British Jazz Award for “Joyriding” by The Derek Nash Acoustic Quartet in 2012. He regularly appears in the British Jazz awards nominations in several categories (Alto/Tenor and Baritone) and was nominated for Jazz Musician of the Year by the Global Music Foundation. Part of a national tour to promote their recent CD release playing the music of jazz giants John Coltrane and Thelonious Monk, award winning tenor saxophonist Dave O’Higgins and the virtuoso guitarist Rob Luft bring their quartet to Guildford for a night of swinging jazz…. and Luft Play Monk and Trane” is Dave’s 21st CD release as leader. Dave was nominated Best Tenor Sax 2018 British Jazz Awards and has worked with some of the world’s finest musicans, including: Joey Calderazzo, Joe Locke, Dave Kikowski, Eric Alexander, Grant Stewart, Max Ionata, Phil Dwyer, Adam Nussbaum, Joe Lovano, Phil Woods, Jimmy Smith, Nancy Wilson, Peggy Lee, Kurt Elling, Wayne Shorter, Eddie Gomez, Billy Childs, Abdullah Ibrahim, Chico Chagas, Stephane Grappelli, Michel Legrand. He wrote and produced the last Matt Bianco album, “Gravity”. Scott Flanigan is one of the foremost keyboard players on the Irish jazz scene. He performs regularly across the United Kingdom, Ireland, France and Germany, and has recently performed with Van Morrison, the Ulster Orchestra, Larry Coryell, Jean Toussaint, Jim Mullen and Linley Hamilton. Drummer Rod Youngs has a uniquely identifiable style, loose-limbed and giving everything a great sense of swing. It is a style that incorporates influences across the board from Sid Catlett to Tony Williams, but centres in the great post-Bop drummers of the 50s. His consummate musicianship has garnered him a wide variety of work from concerts and recordings to sessions for radio, TV and film and he has become the drummer of choice for a formidable array of international artists and groups. Tickets £15 (£7 students). Advance booking recommended. This Autumn, Greek sax star Vasilis Xenopoulos releases a new album celebrating the spirit and music of one of his musical heroes, Dexter Gordon. Vasilis will be bringing his quintet to Guildford to perform music from the album which consists of some of Dexter’s original tunes (specially arranged for this project), a few standards played in a “Dexter” style and a couple of original tunes written by Vasilis and inspired from Dexter’s legacy. The quintet also features Quentin Collins on trumpet, Ross Stanley on piano, and Steve Brown on drums, with Marianne guesting on bass. Tickets £15 (£7 for students).